High power laser systems have a wavelength that ranges between 810 and 1064 nm. Thanks to the high power supplied, it allows the stimulation of the deep layers of the tissue, thus facilitating a quick and widespread cellular regeneration. 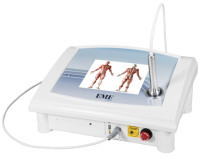 It is indicated for sport traumatology, rheumatic pathologies, physical rehabilitation, general medicine and dermatology. 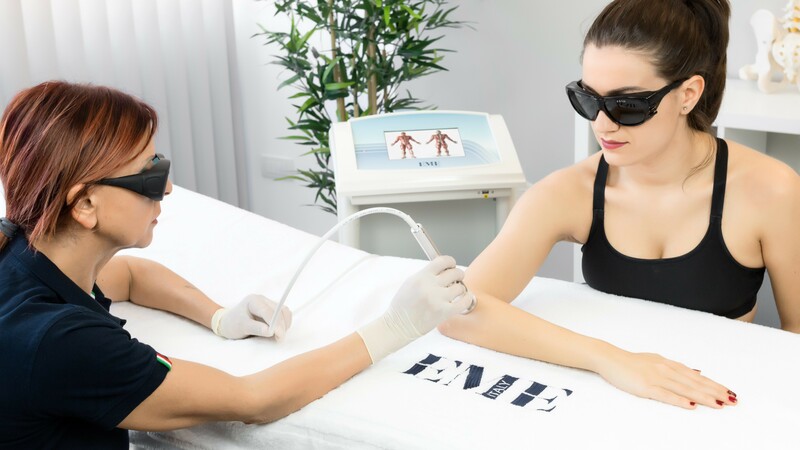 The use of high power lasers allows the user to obtain excellent therapeutic results, considerably reducing treatment times. When must the high power laser be used? Do you have leg pain that stretches from the back down to the calf or foot? This may be an inflammation of the sciatic nerve: the sciatica. The term sciatica means precisely the inflammation of the sciatic nerve, the longest one in the human body which originates from the sacral plexus and innervate, through its branches, the anterior and posterior muscles of thigh and leg. In the most of the cases the pain is propagated mainly in the lower back, on the gluteus or on the rear section of the leg but it can extend across the top – till the hip – or down – to the foot. Inflammation usually manifests only in one leg and may be characterized by pain felt as sharp and unbearable, or be milder, or still, take the form of numbness and tingling in the legs and difficulty in controlling the movements of the lower limbs. The supraspinatus tendonitis is an increasingly common and painful pathology. This pathology, which involves the shoulder, is nothing but an inflammation of the supraspinatus muscle. It can cause very intense pain and functional and motor restraint, even in the most normal movements of daily life, due to its degree of inflammation and tendon calcification. Genetic factors of joint bone shape. A tendon thickening or uneven shoulder shape may compromise normal movements, resulting in inflammation and consequent pain. Wrong posture maintained and assimilated over time. Previous injuries that, creating scar tissue, hamper the normal muscular, articular and tendon movement. The practice of sports that require effort with your arms above your head, especially if repeated, such as volleyball, tennis or weight lifting.